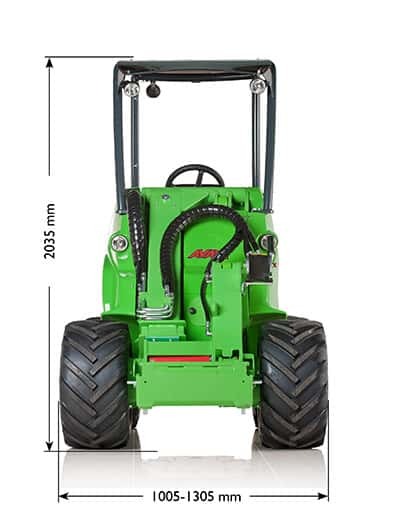 The Multi Connector System is standard equipment on the 600 Series compact loaders and its attachments. It facilitates connecting and disconnecting of attachment hoses considerable, compared with conventional type quick couplings. 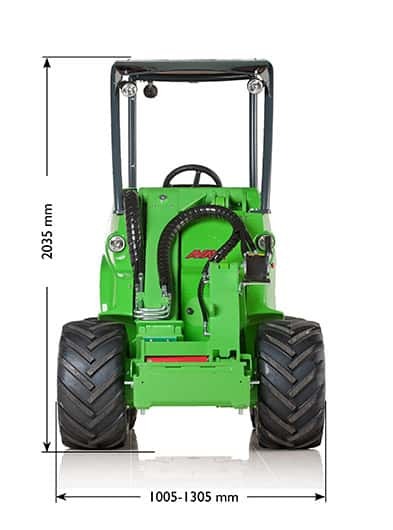 The Avant 600 Series is strong enough to handle heavier loads like store pallets, big bags, etc. 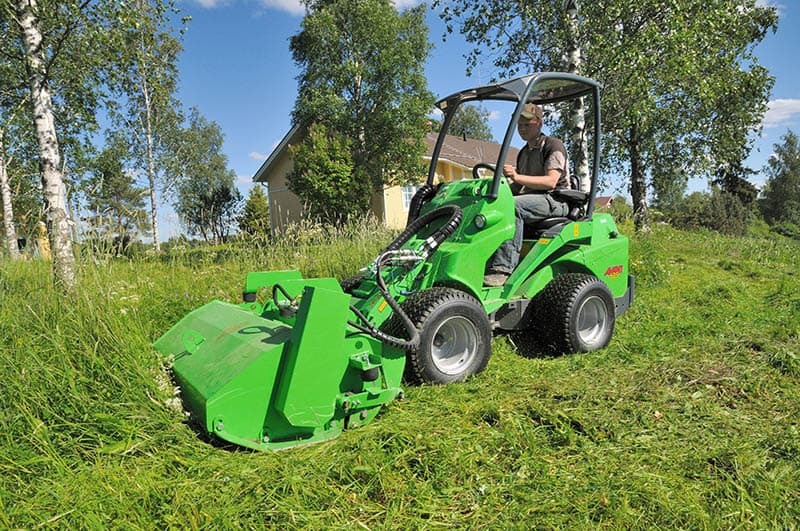 On the other hand, it is light enough so that it doesn’t damage lawns, pavings and other surfaces. 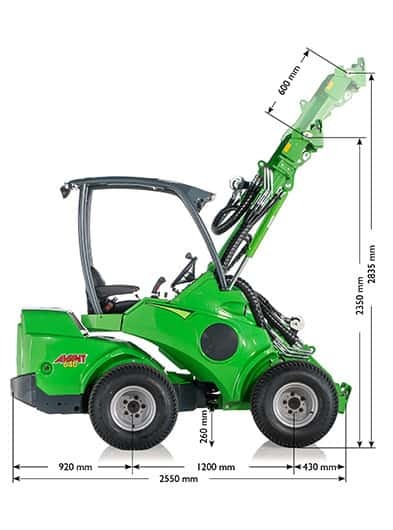 The compact dimensions of the Avant 600 means it can work on any site, and it is easy to transport on a trailer from one work site to another. In addition, one of the key advantages is that you can do many jobs with one single machine whether moving materials, loading and unloading, digging, levelling, milling and more. 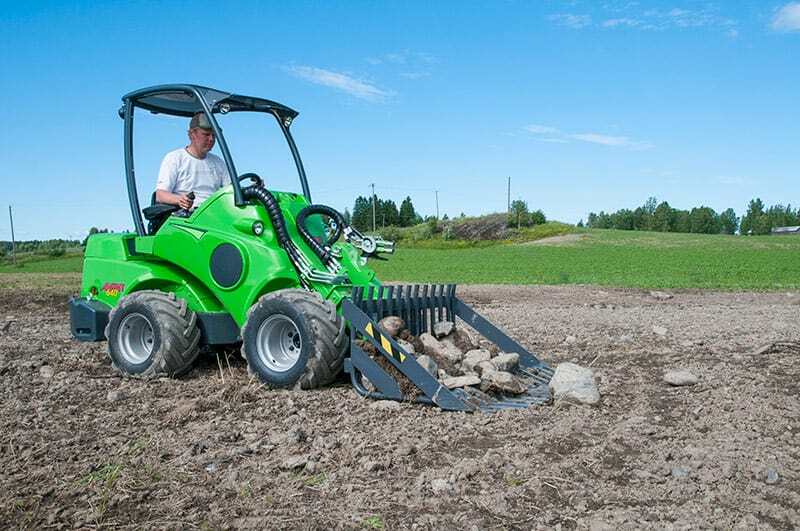 The Avant 600 is certainly the right machine for all tasks. 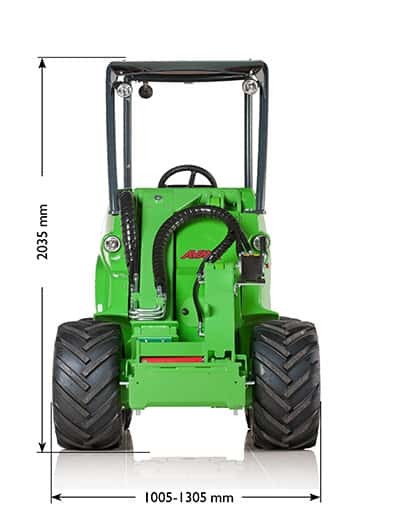 The Avant 600 Series combines high work efficiency and smoothness of operation. 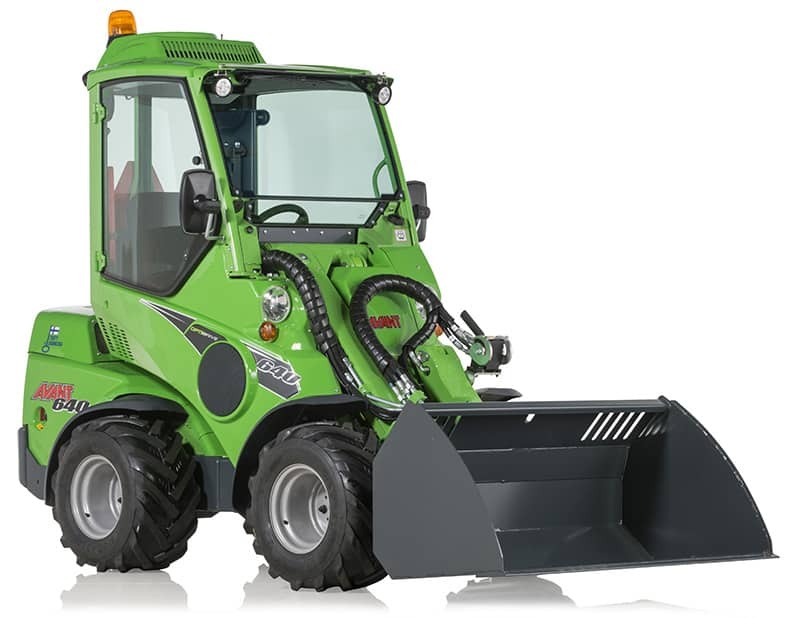 The largest model, 645, can easily tackle the typical tasks on a farm, but is still compact enough to be used in buildings or areas other machines are unable to access. 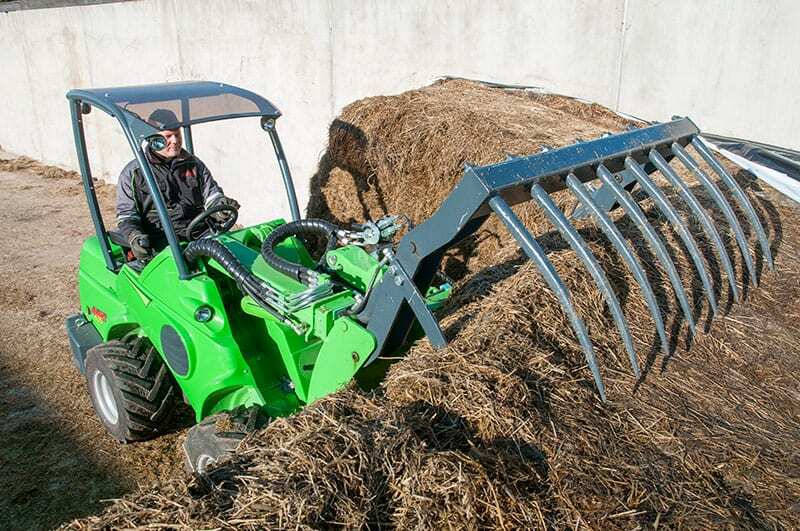 Many farmers replace their conventional loaders with an Avant because they find it can complete all tasks. Avant has an excellent loading and handling capabilities thanks to the telescopic boom and boom levelling. 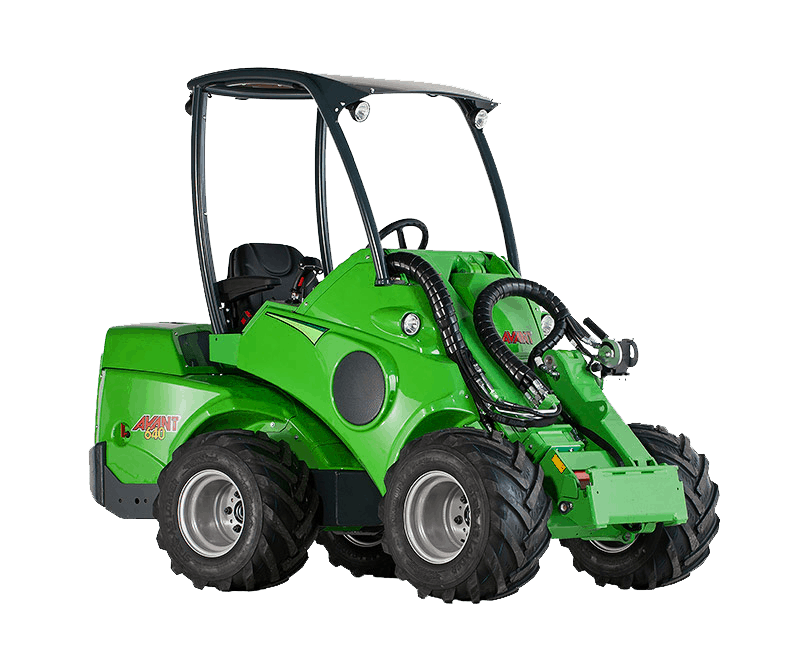 In addition, the same machine can do various property maintenance jobs. 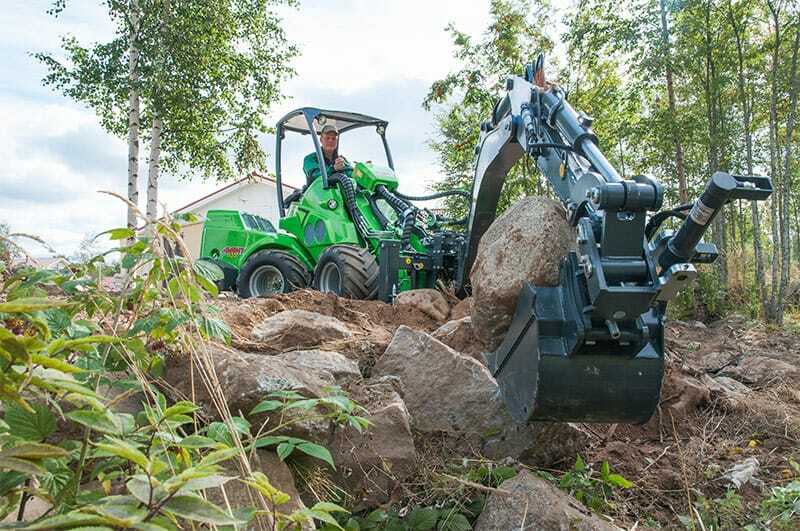 See what attachments to use with the 600 series here. The 600 series is designed and manufactured by Avant Tecno in Finland. Connects all hoses effortlessly with a single hand movement. Releases pressure automatically and is always easy and light to connect. No oil drops during connecting and disconnecting. It is not possible to connect the multi connection the wrong way.